The hamburger, as now shortened to the burger, is apparently derived from the second largest city in Germany; however, certain evidence suggests the U.S. was the first country to strategically place a ground beef steak in between two slices of bread to sell it. It’s up to you to either believe or not believe this Wikipedia-based fact, but it’s hard to argue that contemporary burgers are way bigger in size than their ancestors. They are so enormous the “ham” prefix had to be cut due to space restrictions — the third patty didn’t fit in. Luckily, the growing low-carb craze is here to save you from eating five-patty “burgs” or “gers.” Instead of tearing the innocent word into tiny ambiguous pieces, it suggests omitting buns to make the burger more appealing to the current fashion. 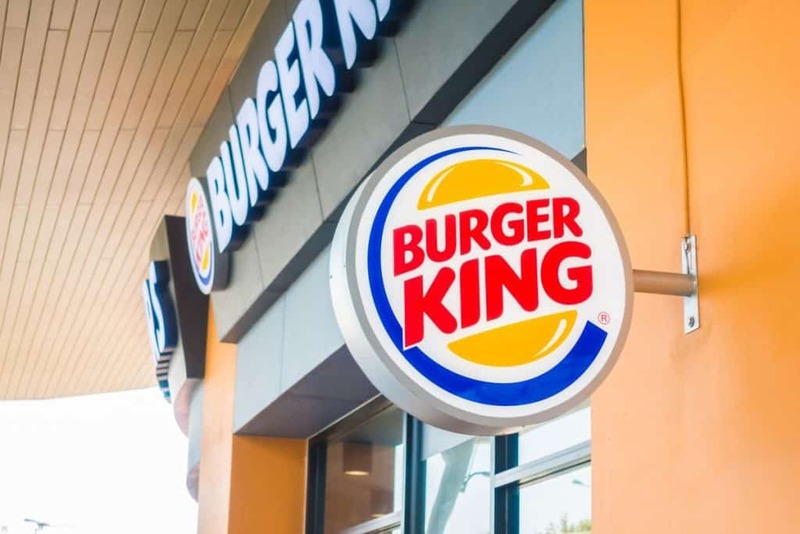 Looking for the keto-friendly nosh, by choosing Burger King not only do you protect the original sandwich name from getting placed on the Red List, but you also benefit the growth of a new species — the bunless burgers. Are they the only option for keto dieters in here? Let’s break it down. Unlike Wendy’s surly website, Burger King’s is the friendliest set of pixels since the day the Internet was born. If you’re racing against the clock, click the nutrition button on top of the front page and tick the less than 20g carbs filter to immediately get three low-carb salads and one chicken option; it’s a no-brainer to compose a couple of five-hundred-calorie keto meals. If you are eager to scrupulously examine each dish’s nutrition, you have two options: to check over their traditional list of nutrition facts or to use the embedded nutrition calculator. The former doesn’t break dishes down into ingredients and therefore is barely practical. The latter, on the other hand, is one of the greatest breakthroughs since launching the red roadster into space. Moreover, it makes a bit more sense. Behold the legit magic of the 21st century — the nutrition calculator. Embedded into every product page and turned on by clicking the customize ingredients button, it allows you to, lo and behold, customize ingredients. However, Burger King implies customization only as removing things; the proper attitude towards their burgers, as befits a king. Anyway, tailoring is inevitable; you will have to remove ingredients to make these royal burgers keto-friendly. Indifferent authors will suggest you omit general items like buns and breaded chicken, but only the ones who are deeply concerned about your ketosis (and coincidentally are paid on the per-word basis) will provide the ultimate analysis. Bread. Potato, sesame, and sourdough buns, as well as croissants, biscuits, wraps, pancakes, and toast sticks have a killer flavor but are killing your ketosis. Sugary sauces. For example, ketchup contains about 3g carbs per serving. Some burgers contain a double-pack of ketchup, so it’s reasonable to always omit it to avoid risks. Garden Veggie Patty. The taste might be great indeed, as they describe it, but 14g total carbs won’t let you relish this dilly. Crispy chicken. Both breaded patties and their diced salad versions contain too many carbs. Opt for grilled options instead. Anything fried. French fries, nuggets, onion rings, and hash browns are a big-big no. Maybe except for 4PC nuggets which provide 10g net carbs, but you have to be extremely careful with any meal containing these. Sweets. Ignore them as kings do. Seriously, everyone knows that kings are allergic to desserts. And what comes along with dawn? Breakfast time. The most prominent nutritionist of the early 1900s, Mrs. Davis knew a thing or two about eating healthy. She knew the regal breakfast must contain eggs, and the best place to have it is the institution with four kingly letters in its name. Her favorite Sandwich Tsar didn’t make it to this day, primarily because it has never existed. More successful in not being fake, Burger King generously suggests nearly two dozen options for you in their breakfast section. Double CROISSAN’WICH with Sausage. They shouldn’t have capitalized this pompously named bun since you’re going to remove it anyway. Without it, two sausages with two slices of American cheese atop fluffy eggs provide 730 calories, 28g fat, 38g protein, and 6g net carbs. Double CROISSAN’WICH with Sausage & Bacon. Absolutely similar to the previous burger, except for one sausage is replaced with bacon. Without the same annoying bun, it gives 590 calories, 24g fat, 32g protein, and 6g net carbs. Double Ham Breakfast SOURDOUGH KING. Stop screaming, BK, please. Whatever, sans bread, it’s fully packed with ham, eggs, and cheese to provide 300 calories with 19g fat, 26g protein, and 4g carbs. Double Bacon Breakfast SOURDOUGH KING. Identical to the ham version, but ham is replaced with bacon. The nutrition is 280 calories, 8g fat, 19g protein, and 3g carbs. Fully Loaded Biscuit. For those who aren’t willing to compromise; all best-for-breakfast ingredients, which are as expected eggs, sausage, bacon, ham, and cheese, are combined into a mouth-watering 380 calories, 29g fat, 24g protein, and 3g total carbs. This hearty list is enough to satisfy both a king and a queen. And a prince if he were hungry; but you already know that a king’s son is only concerned only about his lunch. Big King XL. BK is particularly proud of their signature Stacker sauce and the toasted sesame bun, so at least pretend to be sorry for them when you exclude these two. With two beef patties, two slices of American cheese, lettuce, pickles, and onions it’s a hearty source of 650 calories, 49g fat, 48g protein, and carbohydrates. Bacon & Cheese WHOPPER. Out of all burgers, this one is probably the most colorful: it has pickles, tomatoes, lettuce, onions, bacon, and cheese atop their classical ¼ lb. flame-grilled beef patty. The nutrition sans the bun and ketchup is 540 calories, 46g fat, 28g protein, and 4g net carbs. Grilled Chicken Sandwich. Marinated with spices, a flame-grilled chicken filet is garnished with a tomato slice and a lettuce leaf. Sans the potato bun and honey mustard sauce it provides 170 calories, 1g fat, 34g protein, and 1g net carbs. Chicken Garden Salad. A green mix of lettuce, romaine, and green leaf with shredded cheddar, tomatoes, and buttery garlic croutons. If you opt for the grilled chicken version, the nutrition is 520 calories, 33g fat, 40g protein, and 10g net carbs. Chicken Club Salad. It looks exactly like the salad above with extra bacon pieces added. It provides 610 calories, 41g fat, 46g protein, and 11g net carbs as is, but don’t forget to ask for grilled chicken version. The crowning glory of Burger King is that every option in their burger section is keto-friendly when you omit buns and alter sauces; it’s really just a matter of your taste and budget. Speaking of the budget, or so-called dining like a pauper, they have money-saving keto options in their value menu section. You can always opt for the bunless plain Cheeseburger to stave off your hunger or get two Bacon Double Cheeseburgers to totally annihilate it without breaking the bank. Speaking of the taste, it’s where sauces make a difference. At the moment this passage is being written their website doesn’t have a separate page for condiments. If you want to get the first-hand information, you should open their nutritional list and look at the section right after desserts. According to it, the sauces which have below 4g net carbs per serving are ketchup, mayonnaise, buffalo dipping sauce, ranch dipping sauce, and zesty onion ring dipping sauce. The latter two are the absolute winners in the keto category; they provide 15g fat and about 150 calories. Avoid strawberry or grape jam, breakfast syrup, BBQ dipping sauce, and honey mustard dipping sauce; all of them have above 7g net carbs per serving. Drinks are easier because they have their own page (and for some reason BK has created a separate section for coffee). Nothing revolutionary in here, opt for traditional diet coke, water, and either regular or decaffeinated coffee; all of these have zero carbs. If Burger King were the name of an actual ruler, his case would’ve been as clear as day. He wouldn’t have been an innovator who builds roadsters to bump satellites or hosts meme reviews. In contrast, he would’ve made sure that everything he does is time-tested. Yes, Burger King hasn’t invented the original keto bowl like Chipotle, hasn’t created the most functional nutritional calculator like McDonald’s, and doesn’t celebrate mashed avocados like Taco Bell. But Burger King does make sure your eating experience is highly above average every time you stop by. It results in a variety of wholesome keto-friendly dishes. It results in good taste and satiety of these, and in reasonable pricing; every penny spent feels like it’s worth it. And, what is more, it results in feeling comfortable while ordering a bunless burger or asking to omit croutons; not only are the staff incredibly friendly, but it feels like they are used to ketoers. Like kings harbor their folks, Burger King provides you a carb-free shelter during your keto journey: the one with cozy tables, a vibrant atmosphere, and an international community. Behold fifteen thousand outlets in a hundred countries. Imagine sixteen million customers every day. Think over two billion hamburgers sold annually.